The book that Hillaby wrote the above sentence in was published in 1968. It would seem that many of us have yet to learn the same lessons. Or at least implement them, unfortunately this often includes myself. I have walked all my life. Like most, I have given little thought to the process. I have been fortunate and have had few problems with my feet over the years. Horrendous memories of an ingrown toenail being ripped out of my foot by a partially trained nurse when I was a teenager are fading. Longer marches in my army years in poor boots and even poorer socks helped in my education on how to look after my feet. Blisters have occurred on occasion, but usually through foolishness or misfortune. As a Royal Engineer stationed in Germany I was quick to join the squadron long distance marching team, not because I loved marching, but because many weekends would be spent with great guys completing some quite wonderful ‘volkslauf wandern’ in various locations across the country. These were quite often annual town events, greatly supported by the populace. 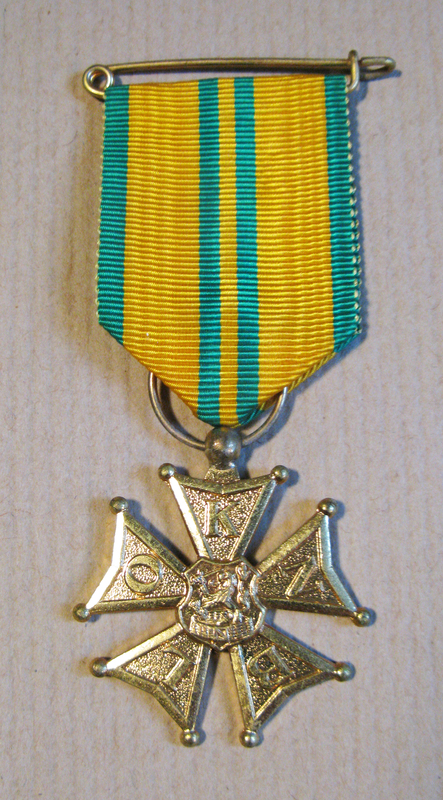 I still have, hidden at the back of a drawer somewhere, a collection of medallions and ribbons awarded at the time. 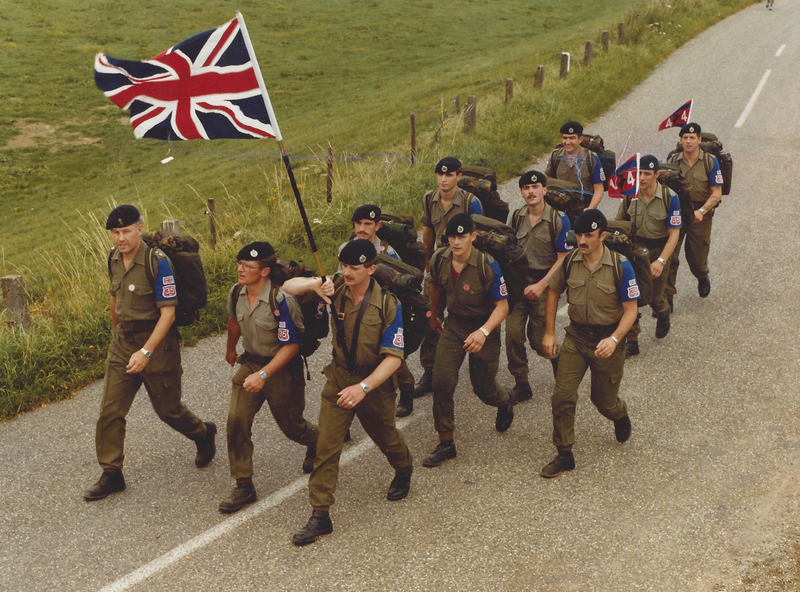 Not just in Germany, the International Four Days Marches Nijmegen in 1982 was a standout occasion, each day a 40km walk, complete with full kit. Despite extensive preparation, I found that crucial elements of the 1980s army uniform just weren’t up to the job. My feet were a mess by day two, bought on by the sub-standard boots issued to the British Army at the time. Fed up with surgical spirits being injected by needle each evening into my freshly drained blisters, on the third day I swapped my boots out to a far better pair that I obtained from an American soldier in exchange for a multipack of army rations, I definitely got the better part of the deal. I learnt then to ignore the accepted issue and wear what worked for me. 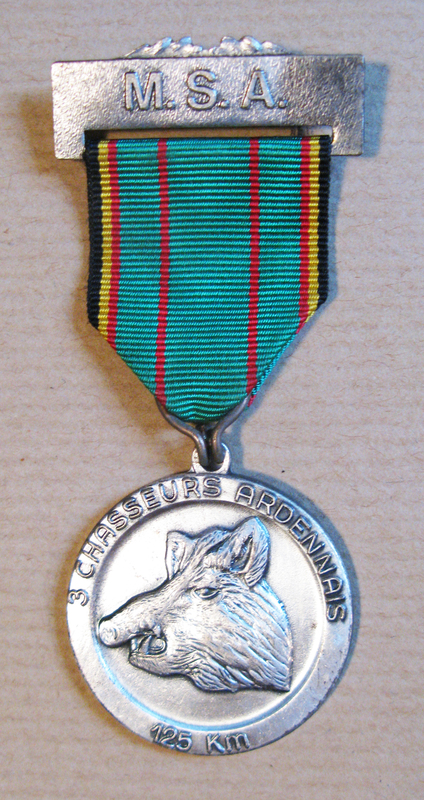 Despite the wrath of my staff sergeant I wore my own boots rather than army issue on every subsequent long distance march including when I completed the memorable 125km four day Marche du Souvenir et de l’Amitié in the Ardenne region of Belgium soon after. When I left the army and my walks continued, I tried dozens of pairs of boots over the years, some were OK but many were uncomfortable to my wide feet (supposedly a British trait), but lighter weight leather boots became my choice of footwear. Blisters were an occasional companion. Over time I learnt the ways that suit me best to avoid blisters- clean feet, socks and insoles, trimmed nails, ‘proper’ walking socks, dry feet and reduce the friction. All basic footcare but things that many walkers let slip. 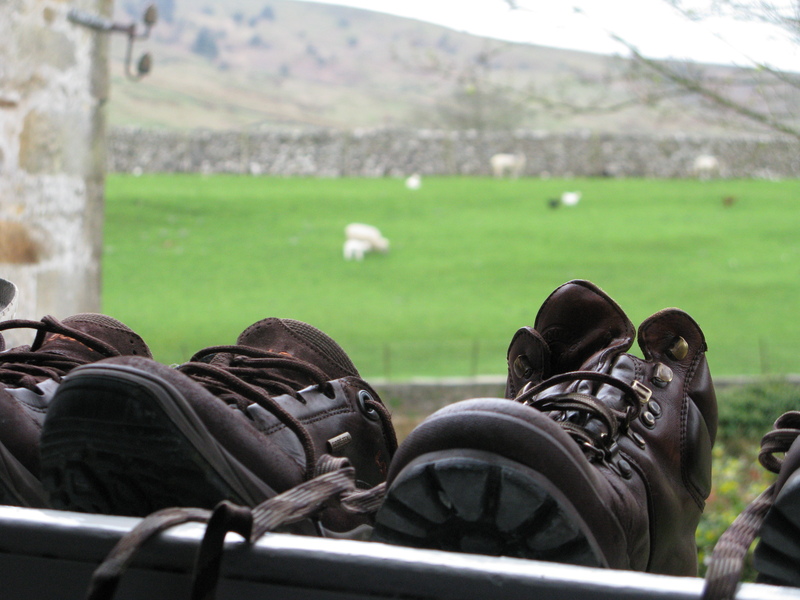 When I completed the lovely Dales Way in 2012 I was wearing my much coveted Brasher Hillmaster GTX. I loved those boots, they were comfortable and gave no problems. As one pair wore out (usually the inner lining) I simply bought another. In 2012 everything changed. On day three, walking through ankle deep snow, my feet got wet. Warm wet feet and worn heel cups on the boots compounded the problem. Pausing for a break I took my boot off to survey what I knew was already an issue. I honestly thought the walk had ended when I saw the piece of skin that had peeled off my heel. Manning up, I pulled out my over provisioned first aid kit, bound myself up with gauze and tape and finished the walk, I may have limped a little but the Dales were stunning. It was only a bit of pain after all, a few weeks passed, the skin grew back and I was back to normal. However, again, a lesson was learnt and my choice of footwear altered again, together with an improved regard of any pain or foot issues. For years I had simply walked on and through any pain, ‘I’ll stop in half an hour’ being the mantra, I now try and sort out anything immediately. 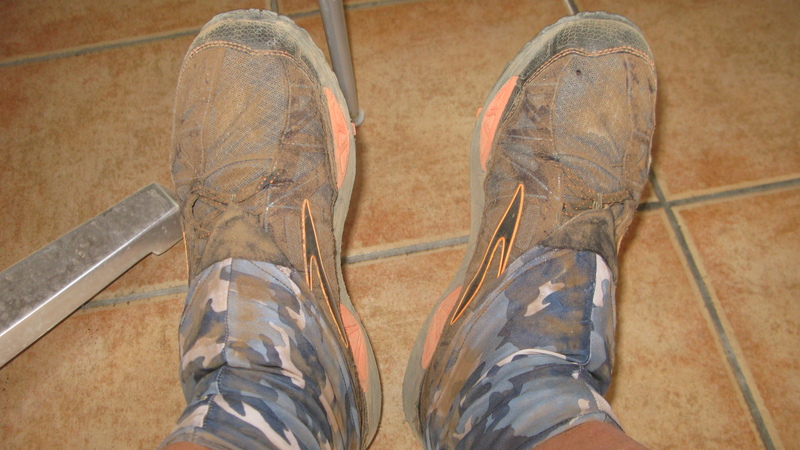 My choice for many years used to be lightweight trail shoes combined with Superfeet and often debris gaiters. You will read elsewhere of my recent enforced change from this regime. The search for the right socks to complement these goes on. However that is a story for another day, or at least another page on this web site. All of this was, quite literally, simply skin deep. Beyond the occasional turned ankle, or overly tightened laces (easily rectified), I had never had any real problem with my feet. Then Plantar Fasciitis struck in early 2015. You can find how I am dealing with this elsewhere on this site. Foot maceration is the result of sweat and heat combined with lack of transpiration, or allowing the feet to ‘breathe’. Once aware of what it is, it is also easy to see how feet can very easily suffer from it. The risks are great. Skin can become soft, tender, even painful and can easily peel with the risk of infection. Not only should footwear be removed when possible, socks too, but careful observation of any problems and quick remedy is an essential. Between the toes is one particular area that has to be kept right, allowing this area to breathe and stay dry. Gauze pads, cut and shaped to fit, can be utilised in this situation. This is another reason why it is especially important to clean and dry feet at the end of a days hiking and for the night. It allows the feet time to recover and I find foot cream combined with cosy socks is a great way of giving my feet a break. The foot creams shown are an ideal choice for use on the feet when trekking. Particularly if using breathable trail shoes. They reduce any itching, calluses and help keep dry or cracked skin supple. 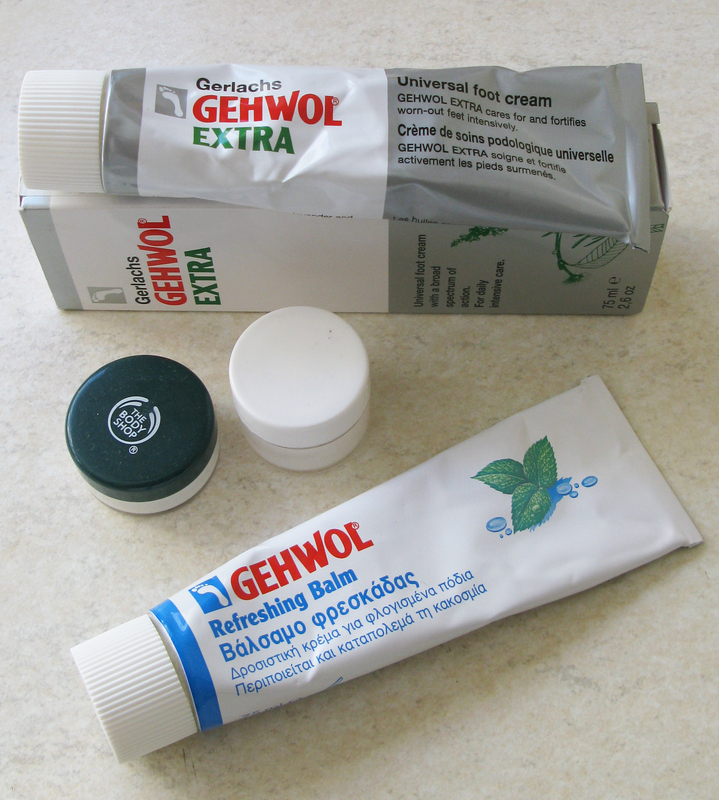 The Gehwol Extra cream I apply first thing in the morning, massaging thoroughly into the skin and between the toes. This puts moisture in, protects the skin to a degree and helps reduce the chance of maceration later in the day. The cream contains eucalyptus, rosemary, lavender and thyme oils, but I won’t hold that against it. The disinfectant properties also helps guard against foot fungus. It still needs to be aided by general foot care and due regard to potential problems. The feet need drying out and airing if at all possible. The other cream I use in the evening. Once feet have been washed and dried, the Gehwol Refreshing Balm is massaged into the foot. An ideal opportunity to work on the muscles and ligaments and ease any problems with the Plantar fascia. It helps to make the feet smell much nicer too. The tubes weigh quite a lot; each metal tube containing 75g of cream. Instead, I decant a sufficient amount in to small lightweight tubs or pots. The cream is too thick to use in plastic bottles. I will write about the contents of my first aid kit elsewhere. 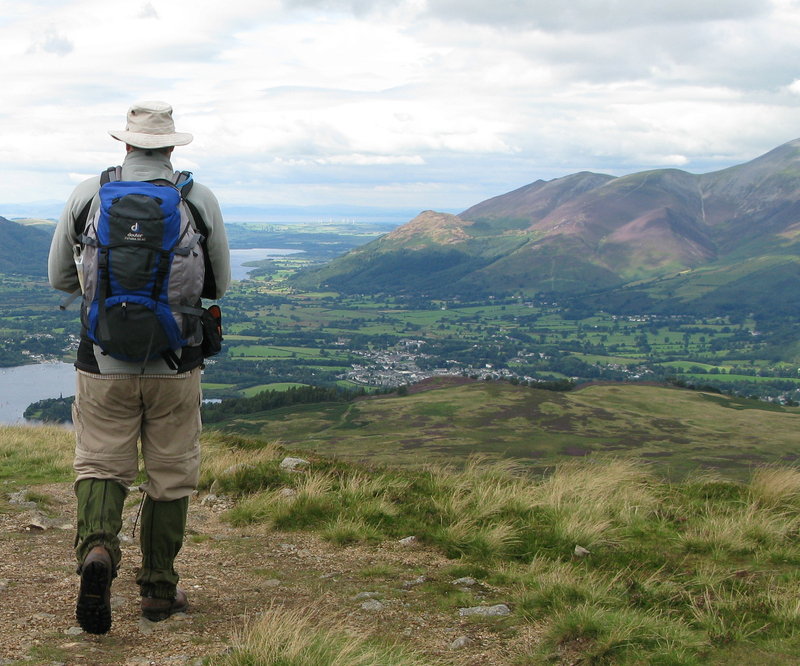 Suffice to say, contents vary according to the length of hike (day hike or longer) and who I am with. If I am with my family then I have additional responsibilities and as such carry enough to deal with most eventualities. Some would say I carry too much but contents of personal first aid kits are very much down to individual preference and bias. If hiking by myself, then I carry far less. Unfortunately this is less successful with X-Socks which are dedicated left and right socks. If at all possible, one sure fired way to help out the feet on a long walk is to allow them to air during the day. Whenever possible and at least during a lunch stop or any extended break, get the shoes or boots off, socks too and allow the feet to dry out a little. I always take the insoles out and allow them to dry slightly too. This is where my pacer poles provide dual purpose as an airer for the socks. I turn them inside out to allow the thicker cushioned inside to dry all the better. Who cares what I look like, they are my feet and far more important than anyone’s opinion. What is especially important is to not wear wet socks when climbing into the sleeping bag at night. Very slightly damp socks on warm feet will dry out OK with no harm done, but anything more is asking for trouble. Better to hang them up, get the feet nice and warm and allow the soles and toes to properly regain their rightful lustre. Even if this means putting wet socks on in the morning. I make the effort to get feet as clean as possible, dry them thoroughly and take time to rub Gerwhol Refreshing Balm all over them, there is the added benefit that they smell far nicer as a result! This is also an ideal opportunity to give feet a good thorough massage. Now that I am aware of the problem of Plantar fasciitis, a deep massage of the plantar fascia can be included. On overnight treks I carry a dedicated pair of night time socks. 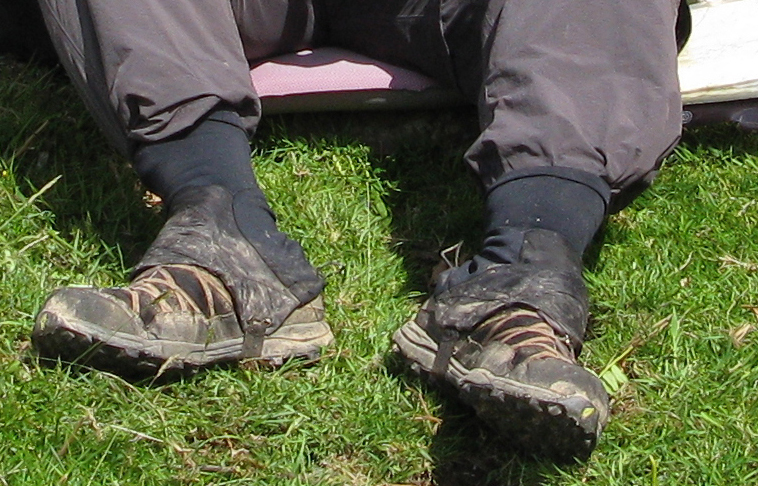 These work twofold, not only are they a cosy addition to the night time garb, but they also stop any grease and contaminants from transferring from feet to the sleeping bag or quilt. My choice of night sock when camping or longer hikes these days is a pair of possum down socks. These have the additional benefit of not smelling after extended duty due to their combination of possum fur and merino wool. I have worn some form of gaiter for decades while walking. 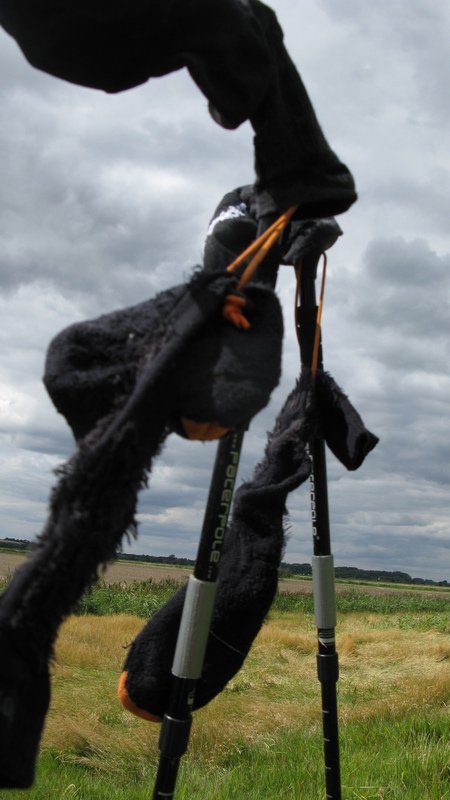 Wet weather or morning dew on long grass has seen me wearing calf length Goretex gaiters made by Mountain Range. Not only has this kept most of the the rain from running down the leg and into the boot, but they do a grand job of stopping the mud from caking the lower legs. However in time they can get very wet inside, from condensed sweat as much from rain, this can result in high humidity around the feet with no chance for them to breathe, problems such as maceration can easily occur as a result. I no longer wear high gaiters. I switched to low gaiters, less of a problem with condensation and an increase in mud on the legs. These were the excellent eVent Shortie gaiter made by Integral Designs. They weighed 61g (plus a 6g stuff sack) despite better breathing problems of trapped moisture inside the gaiter and footwear persisted and I still felt that there must be a better solution out there. Eventually I took the plunge and make the switch from walking boots to breathable trail shoes. This is big step in mindset. It is an acceptance that feet are going to get wet no matter what you footwear is used, from sweat if not rain or snow. Instead, having accepted that feet will get wet, the idea is to wear as breathable a shoe as possible to enable the feet to dry out again. Together with a regime of protective cream in the morning, technical socks and taking time to occasionally remove shoes and allow the feet to dry during the day, problems with the feet can be alleviated. Together with a much improved fleetness of foot, less weight and more mud plastered up the leg. What also occurs is the increased risk of debris- twigs, stones and dust getting into the show. This is where debris gaiters come into their own. I first purchased a pair of lightweight (83g) gaiters made by Backpacking Light. While comfortable when worn, I found them too tight and difficult to get on and off and their stitching eventually gave way. Regardless of their faults I was immediately struck by how effective they were. Then I discovered the superb and simple Dirty Girl gaiters. My XL sized pair weigh 32g. Made in USA, they are polyester with 17% Lycra and come in a bewildering array of fashion statements, fortunately some more subdued colours too. These gaiters have no strap or cord passing below the foot, instead they have a piece of velcro sewn in that hooks on to another piece that sticks to the rear of each shoe. The glue is insufficient over time though and I have found it best to superglue the velcro in position as soon as I get a new pair of shoes. For now at least, I seem to have found what gaiter works for me. The other simple change that I made was to swap out the insoles for both boots and, later, trail shoes, once I had discovered Superfeet. These look like they shouldn’t make a difference but are certainly more comfortable to me. 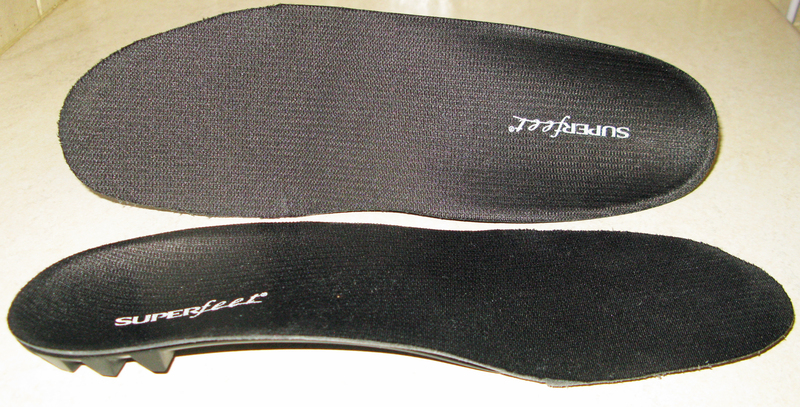 They cup the heel beautifully, support the arch and reduce pronation. At first I used blue but have more recently changed to black Superfeet, these having a lower profile more suited to trail shoes. While it is possible to simply purchase these and cut out the insole pattern yourself, it is a far better option to have trained shop staff do this for you. Especially as they can grind down the edges of the newly cut shape to reduce any added abrasion to the shoe interior.